Put fresh and local at the center of your table with Veggie Box! 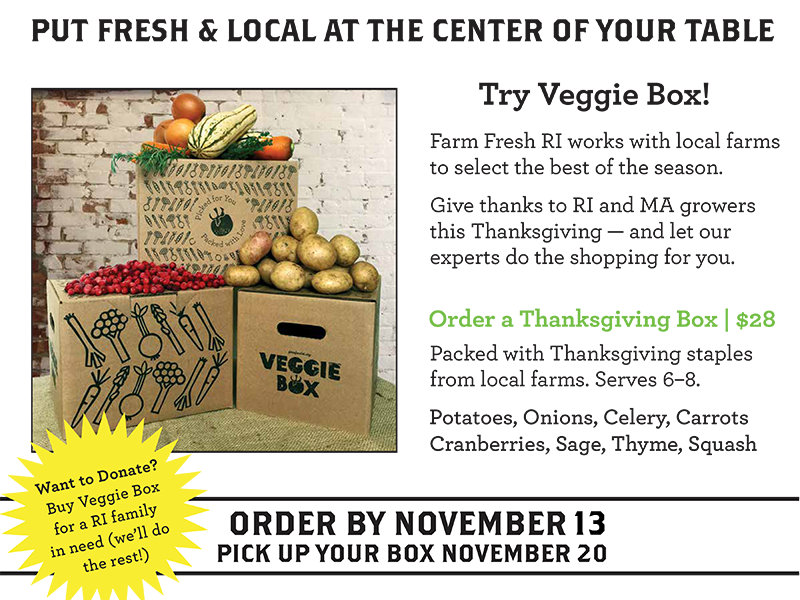 Give thanks to RI and MA growers this Thanksgiving — and let our experts do the shopping for you. 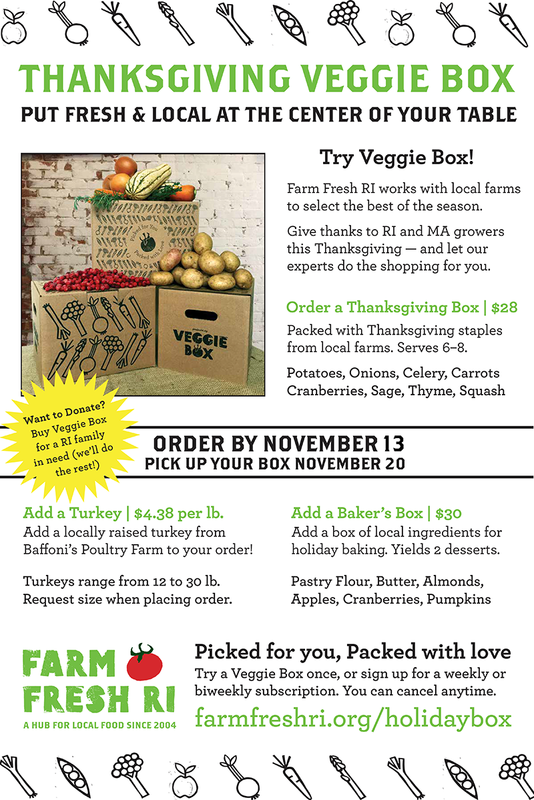 On November 20, all existing Veggie Box subscribers at all pickup locations will receive a Thanksgiving Veggie Box, packed with locally grown Thanksgiving staples like pumpkin, squash, greens, potatoes, herbs, and more. Reserve by: November 13 — EXTENDED!